Halfway through 2015, and the Design-Build Institute of America (DBIA) has already seen some major success in our efforts to authorize design-build project delivery in every state, and codify DBIA Best Practices. While we still have half the year left, the heavy lifting is almost over, as most states end their legislative sessions in June. We need your help to get Congress to pass an important bill improving federal project delivery procedures. All you have to do is write to your United States Senator. Includes the bill, a template with suggested language and a link to a directory of U.S. Senators. Arkansas I-30 Project Allows for "Gap Financing"
The contractor eventually selected for the project to improve the Interstate 30 corridor through downtown Little Rock and North Little Rock also would bankroll part of the work under an option approved by state highway officials Wednesday. The department has said it has up to $450 million set aside for the project, but it could cost more. The five-member Arkansas Highway Commission unanimously approved an order Wednesday to allow the contractor to provide for the balance of the project's cost the state cannot cover with the understanding the contractor would be paid back the money over several years after the work is completed. The order the commission approved Wednesday allows Bennett to request and evaluate proposals and to recommend either a design-build contract or a design-build-finance team. The I-30 job also would be the first project on which the department has employed a design-build concept for construction. GOP leaders in the House Energy and Commerce Committee told Energy Secretary Ernest Moniz that they are largely in agreement on the need to improve pipelines, electric transmission lines, energy storage and other pieces of infrastructure. “Many people are even asking — not surprisingly — is there enough common ground between our efforts and the Obama administration to enact meaningful energy legislation,” Rep. Ed Whitfield (R-Ky.), chairman of the energy and power subcommittee, said at the Tuesday hearing. “I do believe that this question was answered with a clear ‘yes’ when the Department of Energy’s first installment of its Quadrennial Energy Review was released last April,” he said. Federal support for public-private partnerships (P3s) has taken a surprising turn recently. At the Wharton conference, “Investing in America’s Public Water Systems — Making Public-Private Partnerships Work,” the general consensus was that Washington would not be playing much of a role in P3s for water infrastructure projects anytime soon. That was in early May, 2014. In June, the situation began to change when a new federal loan program passed both houses of Congress with strong bipartisan support and was signed by the president. Just a few months later, Obama proposed a budget for 2016 that includes strong support for P3s. As the most expensive highway project in Georgia’s history, the nearly $1 billion Northwest Corridor project will add nearly 30 mi. (48.2 km) of reversible toll lanes along interstates 75 and 575 through Cobb and Cherokee counties. For everyone in a construction business, risk is like a hot potato and it’s handled that way. So construction has more than its fair share of companies taking responsibility for risks not directly under their control. But, there are ways to come out on top. It may not be common knowledge, but private companies have been helping cities manage public water systems for some time. According to the National Environmental Services Center, a process known as design-bid-build is the traditional method employed by water utilities throughout the U.S. Over the past 25 years, however, a new kind of partnership has developed in which the public and private sectors share the risks and rewards involved in building, maintaining and operating public water systems. A general's or subcontractor's job is far from over when it receives final payment on a construction project. Rather, final payment begins a new phase of the project, the warranty phase, which may last years. This is true even where the owner/contractor contract calls for a one-year period for the contractor to return to the site and repair “warranty” items. This article addresses some of the warranty obligations that are created by contract and law. Vast networks of underground pipes, often dating back to the 19th century, are nearing or are already past the end of their useful lives. But unless a water main breaks or a street caves in, it is all too easy to ignore the invisible infrastructure slowly crumbling beneath our feet. The economic impact of the Energy Department’s National Renewable Energy Laboratory was $872.3 million nationwide in fiscal year 2014, according to a study by the University of Colorado Boulder’s Leeds School of Business. The study estimates NREL’s impact to Colorado’s economy totaled $701 million, a decline of 1.6 percent from the prior year. The team — led by a Turner-Devcon joint venture — used a design-build approach to accelerate the construction process and deliver on a promise to turn over the stadium in time for the 49ers' first 2014 preseason game – a mere two years after the start of schematic designs. Design-build firm MSI General Corp., which is making its first appearance on the list, offers a glimpse into some of the reasons behind this renaissance. The Nashotah company designs and builds everything from smaller renovations to entire buildings for industrial and office uses. Parsons Brinckerhoff Inc. wins seven-year contract with California High-Speed Rail Authority. Yukoners got a first look today at the conceptual design for a new hospital wing at Whitehorse General Hospital. Yukon Premier Darrell Pasloski was joined by Yukon Hospitals' Board of Trustees Chair, Craig Tuton, and the project's design-build partner, PCL Constructors Westcoast Inc. at a groundbreaking ceremony to mark the beginning of construction. CM won the Design-Build Institute of America’s 2013 national championship. Only three of 40 schools qualified for the final round, in which Sac State dominated over Auburn University and Colorado State University with its RFQ, RFP, and oral presentation. 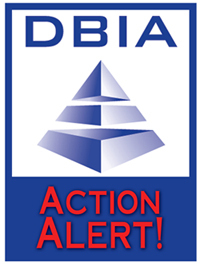 DBIA is happy to announce that we are accepting scholarship applications for the 2015 Design-Build Conference & Expo being held this November 2-4, 2015, in Denver, Colorado. Eligible individuals may apply for complimentary registration and/or partial travel costs. All applications must be completed online by September 1, 2015. For more information and to apply visit our website: http://www.dbia.org/Conferences/expo/Pages/Annual-Owner-Scholarship.aspx. New member listing as of June 15, 2015. Aug. 17, Developing an Effective Acquisition Strategy, Washington, D.C.
NEW – Sep. 14-17, Certification Workshop, Charlotte, N.C.
July 16, Summer Social and BBQ Contest, Kansas City, Mo. July 30, Carolinas Chapter, The Future of Design-Build in North Carolina: Trends and Impacts on State Construction Projects, Greensboro, N.C.
Aug. 6, Breakfast Program, Atlanta, Ga.
Sep. 28, Annual Golf Tournament, Clemson, S.C.